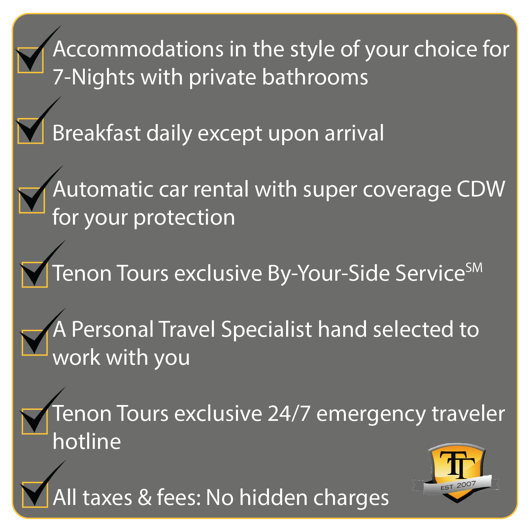 Terms & Conditions: Pricing is based on double occupancy traveling in low season: January-February and November-December. Blackout dates may apply. Tier 1 vehicle included in package. May not be combined with any other specials or offers.